Description of "Anger (In Spanish) (eBook)"
Anger management is a popular and necessary topic in today’s world. In dealing with difficult people, in our family relationships, or in facing marriage problems, we simply do not know how to deal with anger! When dealing with anger, we may wonder, “Am I right?” or “How can I make myself understood?” Some of our relationships can be said to be the very definition of conflict! Lacking conflict resolution skills, and out of a sense of powerlessness in our circumstances, we become angry. 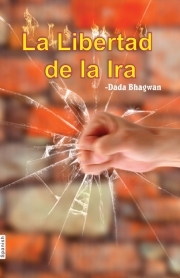 In the book “Anger”, Gnani Purush (embodiment of Self knowledge) Dada Bhagwan offers the ultimate anger management techniques in the form of spiritual conflict resolution strategies. He gives numerous solutions for dealing both with our own anger, and the anger of others. In addition, Dadashri offers spiritual advice on how to handle difficult people, anger management tips, and relationship tips. Reviews of "Anger (In Spanish) (eBook)"